Opening a new kiln is always a bit like going to a new place, or unwrapping a Birthday present, or cooking something one has never before attempted. It’s exciting, can be disappointing or enthralling. So new works are a bit like that as well. 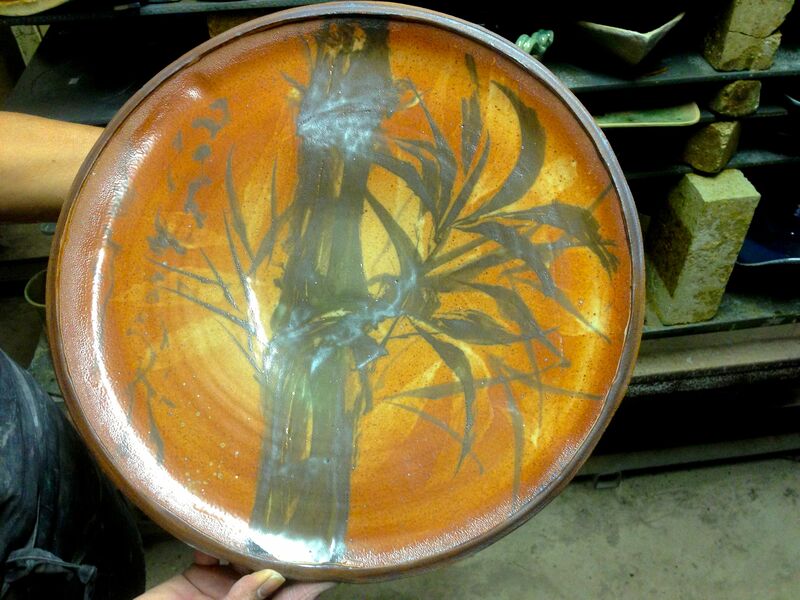 This bamboo platter, using shino in some multilayered ways in both the platter and the brushwork on the platter, is a happy surprise! This entry was posted on August 17, 2014 by matthewstockard. It was filed under Uncategorized .